Bobby Terry, Acoustic Guitar, AssociatedPerformer - Larry Paxton, Bass Guitar, AssociatedPerformer - Jim "Moose" Brown, Piano, AssociatedPerformer - Jon Randall, ComposerLyricist - Brent Mason, Electric Guitar, AssociatedPerformer - Andrew Mendelson, Mastering Engineer, StudioPersonnel - Joe Spivey, Fiddle, AssociatedPerformer - BUDDY CANNON, Producer - Mike Johnson, Steel Guitar, AssociatedPerformer - Jeff King, Electric Guitar, AssociatedPerformer - Shannon Finnegan, Production Coordinator, StudioPersonnel - Tony Castle, Mixer, Recording Engineer, StudioPersonnel - Wyatt Beard, Background Vocalist, AssociatedPerformer - Sidney Cox, ComposerLyricist - Reba McEntire, Producer, MainArtist - Jenifer Wrinkle, Background Vocalist, AssociatedPerformer - Tony Creasman, Drums, AssociatedPerformer - Alex Carter, Asst. Recording Engineer, StudioPersonnel - Bryce Roberts, Asst. Recording Engineer, StudioPersonnel - Brianna Steinitz, Unknown, Other - Janice Soled, Unknown, Other - Bobbi Giel, Mastering Engineer, StudioPersonnel - Taylor Chadwick, Mastering Engineer, StudioPersonnel - Allison Jones, A & R - Megan Peterson, Mastering Engineer, StudioPersonnel Copyright : ℗ 2019 Rockin' R Records, LLC. under exclusive license to Big Machine Label Group, LLC. Bobby Terry, Acoustic Guitar, AssociatedPerformer - Larry Paxton, Bass Guitar, AssociatedPerformer - Jim "Moose" Brown, Piano, AssociatedPerformer - Brent Mason, Electric Guitar, AssociatedPerformer - Andrew Mendelson, Mastering Engineer, StudioPersonnel - Joe Spivey, Fiddle, AssociatedPerformer - BUDDY CANNON, Producer - Mike Johnson, Steel Guitar, AssociatedPerformer - Jeff King, Electric Guitar, AssociatedPerformer - Shannon Finnegan, Production Coordinator, StudioPersonnel - Tony Castle, Mixer, Recording Engineer, StudioPersonnel - Reba McEntire, Producer, MainArtist - Tony Creasman, Drums, AssociatedPerformer - Bryce Roberts, Asst. Recording Engineer, StudioPersonnel - Brianna Steinitz, Unknown, Other - Janice Soled, Unknown, Other - Autumn McEntire, ComposerLyricist - Bobbi Giel, Mastering Engineer, StudioPersonnel - Taylor Chadwick, Mastering Engineer, StudioPersonnel - Allison Jones, A & R - Megan Peterson, Mastering Engineer, StudioPersonnel - Hannah Louise Blaylock, ComposerLyricist Copyright : ℗ 2019 Rockin' R Records, LLC. under exclusive license to Big Machine Label Group, LLC. Leslie Satcher, ComposerLyricist - Will Robinson, ComposerLyricist - Bobby Terry, Banjo, Acoustic Guitar, AssociatedPerformer - Larry Paxton, Bass Guitar, AssociatedPerformer - Jim "Moose" Brown, Organ, Piano, AssociatedPerformer - Brent Mason, Electric Guitar, AssociatedPerformer - Andrew Mendelson, Mastering Engineer, StudioPersonnel - Joe Spivey, Fiddle, AssociatedPerformer - BUDDY CANNON, Producer - Mike Johnson, Steel Guitar, AssociatedPerformer - Jeff King, Electric Guitar, AssociatedPerformer - Shannon Finnegan, Production Coordinator, StudioPersonnel - Melonie Cannon, Background Vocalist, AssociatedPerformer - Tony Castle, Mixer, Recording Engineer, StudioPersonnel - Wyatt Beard, Background Vocalist, AssociatedPerformer - Jason Mott, Asst. Recording Engineer, StudioPersonnel - Reba McEntire, Producer, MainArtist - Jenifer Wrinkle, Background Vocalist, AssociatedPerformer - Tony Creasman, Drums, AssociatedPerformer - Bryce Roberts, Asst. Recording Engineer, StudioPersonnel - Ned Singh, Asst. Recording Engineer, StudioPersonnel - Brianna Steinitz, Unknown, Other - Janice Soled, Unknown, Other - Bobbi Giel, Mastering Engineer, StudioPersonnel - Taylor Chadwick, Mastering Engineer, StudioPersonnel - Allison Jones, A & R - Nick Davison, Asst. Recording Engineer, StudioPersonnel - Megan Peterson, Mastering Engineer, StudioPersonnel - Mary Browder, ComposerLyricist Copyright : ℗ 2019 Rockin' R Records, LLC. under exclusive license to Big Machine Label Group, LLC. Mark Narmore, ComposerLyricist - Bobby Terry, Acoustic Guitar, AssociatedPerformer - Larry Paxton, Bass Guitar, AssociatedPerformer - Jim "Moose" Brown, Piano, AssociatedPerformer - Brent Mason, Electric Guitar, AssociatedPerformer - Andrew Mendelson, Mastering Engineer, StudioPersonnel - Joe Spivey, Fiddle, AssociatedPerformer - BUDDY CANNON, Producer - Sonya Isaacs, Background Vocalist, AssociatedPerformer - Mike Johnson, Steel Guitar, AssociatedPerformer - Jeff King, Electric Guitar, AssociatedPerformer - Shannon Finnegan, Production Coordinator, StudioPersonnel - Tony Castle, Mixer, Recording Engineer, StudioPersonnel - Jason Mott, Asst. Recording Engineer, StudioPersonnel - Reba McEntire, Producer, MainArtist - Brandy Clark, ComposerLyricist - Shelley Skidmore, ComposerLyricist - Jenifer Wrinkle, Background Vocalist, AssociatedPerformer - Tony Creasman, Drums, AssociatedPerformer - Bryce Roberts, Asst. Recording Engineer, StudioPersonnel - Brianna Steinitz, Unknown, Other - Janice Soled, Unknown, Other - Bobbi Giel, Mastering Engineer, StudioPersonnel - Taylor Chadwick, Mastering Engineer, StudioPersonnel - Allison Jones, A & R - Megan Peterson, Mastering Engineer, StudioPersonnel Copyright : ℗ 2019 Rockin' R Records, LLC. under exclusive license to Big Machine Label Group, LLC. Allen Shamblin, ComposerLyricist - Steve Seskin, ComposerLyricist - Bobby Terry, Acoustic Guitar, AssociatedPerformer - Larry Paxton, Bass Guitar, AssociatedPerformer - Jim "Moose" Brown, Piano, AssociatedPerformer - Brent Mason, Acoustic Guitar, AssociatedPerformer - Andrew Mendelson, Mastering Engineer, StudioPersonnel - BUDDY CANNON, Producer, Background Vocalist, AssociatedPerformer - Mike Johnson, Steel Guitar, Dobro, AssociatedPerformer - Jeff King, Electric Guitar, AssociatedPerformer - Shannon Finnegan, Production Coordinator, StudioPersonnel - Melonie Cannon, Background Vocalist, AssociatedPerformer - Tony Castle, Mixer, Recording Engineer, StudioPersonnel - Reba McEntire, Producer, MainArtist - Deanie Richardson, Fiddle, AssociatedPerformer - Tony Creasman, Drums, AssociatedPerformer - Bryce Roberts, Asst. Recording Engineer, StudioPersonnel - Brianna Steinitz, Unknown, Other - Janice Soled, Unknown, Other - Bobbi Giel, Mastering Engineer, StudioPersonnel - Taylor Chadwick, Mastering Engineer, StudioPersonnel - Allison Jones, A & R - Megan Peterson, Mastering Engineer, StudioPersonnel Copyright : ℗ 2019 Rockin' R Records, LLC. under exclusive license to Big Machine Label Group, LLC. Bobby Terry, Acoustic Guitar, AssociatedPerformer - Larry Paxton, Bass Guitar, AssociatedPerformer - Jim "Moose" Brown, Piano, AssociatedPerformer - Brent Mason, Electric Guitar, AssociatedPerformer - Andrew Mendelson, Mastering Engineer, StudioPersonnel - Joe Spivey, Fiddle, AssociatedPerformer - BUDDY CANNON, Producer - Mike Johnson, Steel Guitar, AssociatedPerformer - Jeff King, Electric Guitar, AssociatedPerformer - Shannon Finnegan, Production Coordinator, StudioPersonnel - Tony Castle, Mixer, Recording Engineer, StudioPersonnel - Reba McEntire, Producer, MainArtist - Tony Creasman, Drums, AssociatedPerformer - Bryce Roberts, Asst. Recording Engineer, StudioPersonnel - Brianna Steinitz, Unknown, Other - Janice Soled, Unknown, Other - Bobbi Giel, Mastering Engineer, StudioPersonnel - Taylor Chadwick, Mastering Engineer, StudioPersonnel - Allison Jones, A & R - Megan Peterson, Mastering Engineer, StudioPersonnel - Kellys Collins, ComposerLyricist Copyright : ℗ 2019 Rockin' R Records, LLC. under exclusive license to Big Machine Label Group, LLC. Bobby Terry, Acoustic Guitar, AssociatedPerformer - Larry Paxton, Bass Guitar, AssociatedPerformer - Hillary Lindsey, ComposerLyricist - Jim "Moose" Brown, Piano, AssociatedPerformer - James Slater, ComposerLyricist - Brent Mason, Electric Guitar, AssociatedPerformer - Andrew Mendelson, Mastering Engineer, StudioPersonnel - Joe Spivey, Fiddle, AssociatedPerformer - BUDDY CANNON, Producer - Mike Johnson, Steel Guitar, AssociatedPerformer - Jeff King, Electric Guitar, AssociatedPerformer - Dallas Davidson, ComposerLyricist - Shannon Finnegan, Production Coordinator, StudioPersonnel - Tony Castle, Mixer, Recording Engineer, StudioPersonnel - Wyatt Beard, Background Vocalist, AssociatedPerformer - Reba McEntire, Producer, MainArtist - Jenifer Wrinkle, Background Vocalist, AssociatedPerformer - Tony Creasman, Drums, AssociatedPerformer - Bryce Roberts, Asst. Recording Engineer, StudioPersonnel - Ned Singh, Asst. Recording Engineer, StudioPersonnel - Brianna Steinitz, Unknown, Other - Janice Soled, Unknown, Other - Bobbi Giel, Mastering Engineer, StudioPersonnel - Taylor Chadwick, Mastering Engineer, StudioPersonnel - Allison Jones, A & R - Nick Davison, Asst. Recording Engineer, StudioPersonnel - Megan Peterson, Mastering Engineer, StudioPersonnel Copyright : ℗ 2019 Rockin' R Records, LLC. under exclusive license to Big Machine Label Group, LLC. Ronnie Dunn, ComposerLyricist - Bobby Terry, Acoustic Guitar, AssociatedPerformer - Larry Paxton, Bass Guitar, AssociatedPerformer - Jim "Moose" Brown, Piano, AssociatedPerformer - Brent Mason, Electric Guitar, AssociatedPerformer - Andrew Mendelson, Mastering Engineer, StudioPersonnel - Joe Spivey, Fiddle, AssociatedPerformer - BUDDY CANNON, Producer - Mike Johnson, Steel Guitar, AssociatedPerformer - Jeff King, Electric Guitar, AssociatedPerformer - Shannon Finnegan, Production Coordinator, StudioPersonnel - Tony Castle, Mixer, Recording Engineer, StudioPersonnel - Wyatt Beard, Background Vocalist, AssociatedPerformer - Reba McEntire, Producer, MainArtist, ComposerLyricist - Jenifer Wrinkle, Background Vocalist, AssociatedPerformer - Tony Creasman, Drums, AssociatedPerformer - Bryce Roberts, Asst. Recording Engineer, StudioPersonnel - Ned Singh, Asst. Recording Engineer, StudioPersonnel - Brianna Steinitz, Unknown, Other - Janice Soled, Unknown, Other - Bobbi Giel, Mastering Engineer, StudioPersonnel - Taylor Chadwick, Mastering Engineer, StudioPersonnel - Allison Jones, A & R - Nick Davison, Asst. Recording Engineer, StudioPersonnel - Megan Peterson, Mastering Engineer, StudioPersonnel - Donna McSpadden, ComposerLyricist Copyright : ℗ 2019 Rockin' R Records, LLC. under exclusive license to Big Machine Label Group, LLC. Bobby Terry, Acoustic Guitar, AssociatedPerformer - Larry Paxton, Bass Guitar, AssociatedPerformer - Jim "Moose" Brown, Piano, AssociatedPerformer - Brent Mason, Electric Guitar, AssociatedPerformer - Andrew Mendelson, Mastering Engineer, StudioPersonnel - Joe Spivey, Fiddle, AssociatedPerformer - Liz Hengber, ComposerLyricist - BUDDY CANNON, Producer - Mike Johnson, Steel Guitar, AssociatedPerformer - Jeff King, Electric Guitar, AssociatedPerformer - Shannon Finnegan, Production Coordinator, StudioPersonnel - Tony Castle, Mixer, Recording Engineer, StudioPersonnel - Wyatt Beard, Background Vocalist, AssociatedPerformer - Erin Enderlin, ComposerLyricist - Reba McEntire, Producer, MainArtist - Jenifer Wrinkle, Background Vocalist, AssociatedPerformer - Tony Creasman, Drums, AssociatedPerformer - Bryce Roberts, Asst. Recording Engineer, StudioPersonnel - Ned Singh, Asst. Recording Engineer, StudioPersonnel - Alex Kline, ComposerLyricist - Brianna Steinitz, Unknown, Other - Janice Soled, Unknown, Other - Bobbi Giel, Mastering Engineer, StudioPersonnel - Taylor Chadwick, Mastering Engineer, StudioPersonnel - Allison Jones, A & R - Nick Davison, Asst. Recording Engineer, StudioPersonnel - Megan Peterson, Mastering Engineer, StudioPersonnel - Kellys Collins, ComposerLyricist Copyright : ℗ 2019 Rockin' R Records, LLC. under exclusive license to Big Machine Label Group, LLC. Tommy Lee James, ComposerLyricist - Bobby Terry, Acoustic Guitar, AssociatedPerformer - Larry Paxton, Bass Guitar, AssociatedPerformer - Jim "Moose" Brown, Piano, AssociatedPerformer - Brent Mason, Electric Guitar, AssociatedPerformer - Andrew Mendelson, Mastering Engineer, StudioPersonnel - Joe Spivey, Fiddle, AssociatedPerformer - Liz Hengber, ComposerLyricist - BUDDY CANNON, Producer - Mike Johnson, Steel Guitar, AssociatedPerformer - Jeff King, Electric Guitar, AssociatedPerformer - Shannon Finnegan, Production Coordinator, StudioPersonnel - Tony Castle, Mixer, Recording Engineer, StudioPersonnel - Reba McEntire, Producer, MainArtist, ComposerLyricist - Jenifer Wrinkle, Background Vocalist, AssociatedPerformer - Tony Creasman, Drums, AssociatedPerformer - Bryce Roberts, Asst. Recording Engineer, StudioPersonnel - Brianna Steinitz, Unknown, Other - Janice Soled, Unknown, Other - Bobbi Giel, Mastering Engineer, StudioPersonnel - Taylor Chadwick, Mastering Engineer, StudioPersonnel - Allison Jones, A & R - Megan Peterson, Mastering Engineer, StudioPersonnel Copyright : ℗ 2019 Rockin' R Records, LLC. under exclusive license to Big Machine Label Group, LLC. Bobby Terry, Acoustic Guitar, AssociatedPerformer - Larry Paxton, Bass Guitar, AssociatedPerformer - Jim "Moose" Brown, Synthesizer, AssociatedPerformer - Jay Brunswick, ComposerLyricist - Brent Mason, Electric Guitar, AssociatedPerformer - Andrew Mendelson, Mastering Engineer, StudioPersonnel - Joe Spivey, Fiddle, AssociatedPerformer - BUDDY CANNON, Producer - Mike Johnson, Steel Guitar, AssociatedPerformer - Jeff King, Electric Guitar, AssociatedPerformer - John Pierce, ComposerLyricist - Shannon Finnegan, Production Coordinator, StudioPersonnel - Tony Castle, Mixer, Recording Engineer, StudioPersonnel - Wyatt Beard, Background Vocalist, AssociatedPerformer - Jason Mott, Asst. Recording Engineer, StudioPersonnel - Reba McEntire, Producer, MainArtist - Jaida Dreyer, ComposerLyricist - Jenifer Wrinkle, Background Vocalist, AssociatedPerformer - Tony Creasman, Drums, AssociatedPerformer - Tommy Cecil, ComposerLyricist - Bryce Roberts, Asst. Recording Engineer, StudioPersonnel - Brianna Steinitz, Unknown, Other - Janice Soled, Unknown, Other - Bobbi Giel, Mastering Engineer, StudioPersonnel - Taylor Chadwick, Mastering Engineer, StudioPersonnel - Allison Jones, A & R - Megan Peterson, Mastering Engineer, StudioPersonnel Copyright : ℗ 2019 Rockin' R Records, LLC. under exclusive license to Big Machine Label Group, LLC. Burton Collins, ComposerLyricist - Andrew Mendelson, Mastering Engineer, StudioPersonnel - BUDDY CANNON, Producer - Shannon Finnegan, Production Coordinator, StudioPersonnel - Tony Castle, Mixer, Recording Engineer, StudioPersonnel - Jason Mott, Asst. 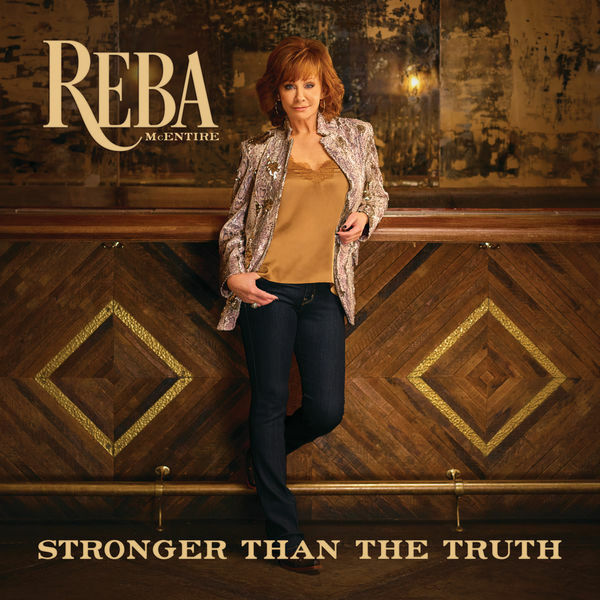 Recording Engineer, StudioPersonnel - Reba McEntire, Producer, MainArtist - Billy Aerts, ComposerLyricist - Catherine Marx, Piano, AssociatedPerformer - Brianna Steinitz, Unknown, Other - Janice Soled, Unknown, Other - Bobbi Giel, Mastering Engineer, StudioPersonnel - Taylor Chadwick, Mastering Engineer, StudioPersonnel - Allison Jones, A & R - Megan Peterson, Mastering Engineer, StudioPersonnel Copyright : ℗ 2019 Rockin' R Records, LLC. under exclusive license to Big Machine Label Group, LLC. © © 2019 Rockin' R Records, LLC. under exclusive license to Big Machine Label Group, LLC.